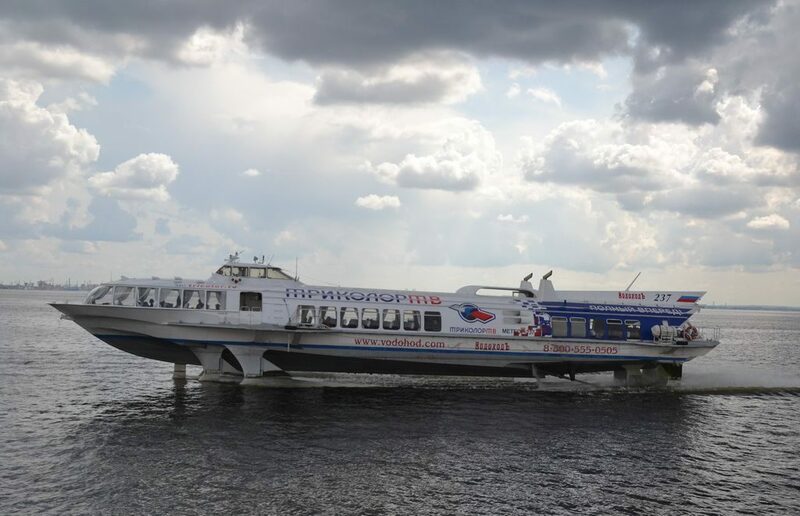 One of the best experiences you can get in St. Petersburg is a trip by hydrofoil to Peterhof. Just a 30-minute ride turns out to be a nice sea travel on a high speed to the beauties of the Russian Versailles. This year, one company starts operating at the end of April and others in early May. We asked three carriers running hydrofoils (in Russian «meteors») on St. Petersburg — Peterhof route. Astra Marine told us that their start day is April 22, while Neva trip and Vodohod said they would go on May 1. Important note: these dates are valid if the weather conditions will allow the navigation. Real also our post about the fare for getting to Peterhof by hydrofoil and the post about all way to go to Peterhof. By the way, as Neva trip company representative said they will be the only to provide a discount for a round-trip ticket. Attention! In 2017, the fountains will be closed on October, 15; hydrofoils will be stopped as of October, 9. See this post.